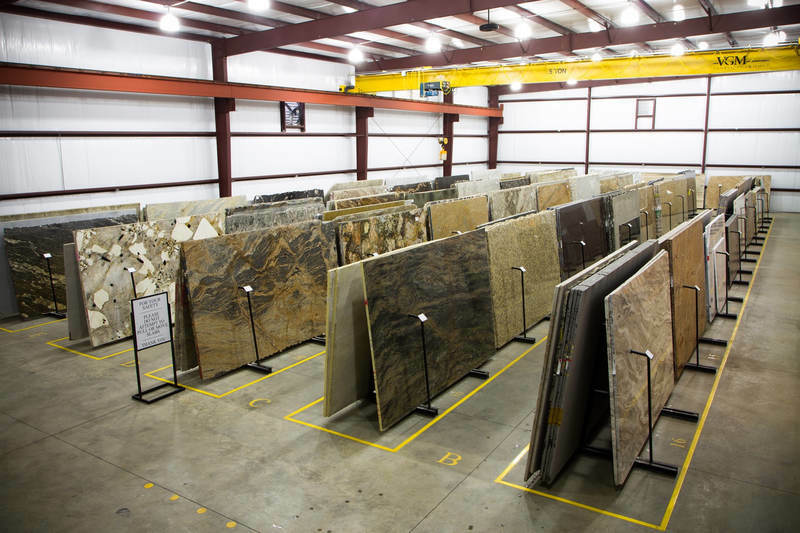 Exclusive selection of Granite, Marble, Travertine, Soapstone& Onyx over hundred colors In stock Standard and Premium grade stored inside our 20,000 sq.ft facility. 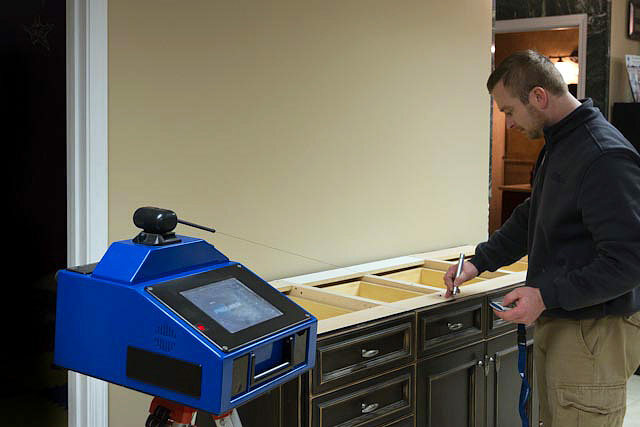 A trained technician will visit your home to make precise measurements of your kitchen countertop using digital technology Proliner creating computer file. 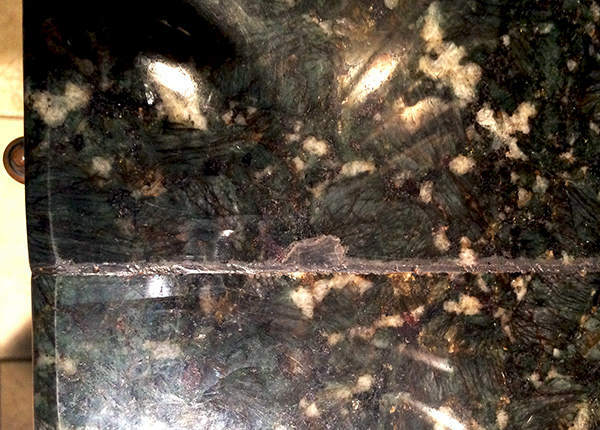 The existing countertops do not need to be removed when we measure. The measurements are accurate to 1/64 of an inch. 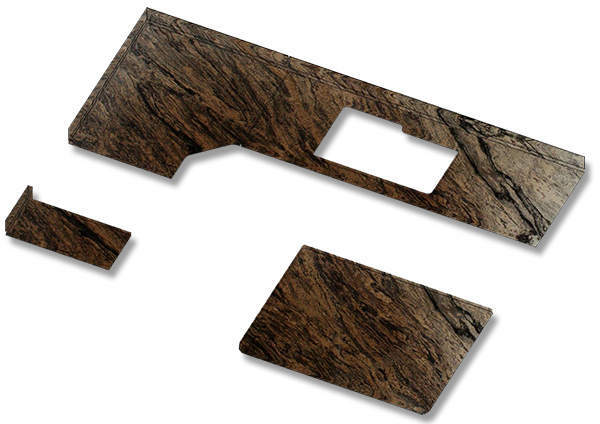 The customer can see a digital drawing of the countertop right at template process and make suggested modifications and changes. 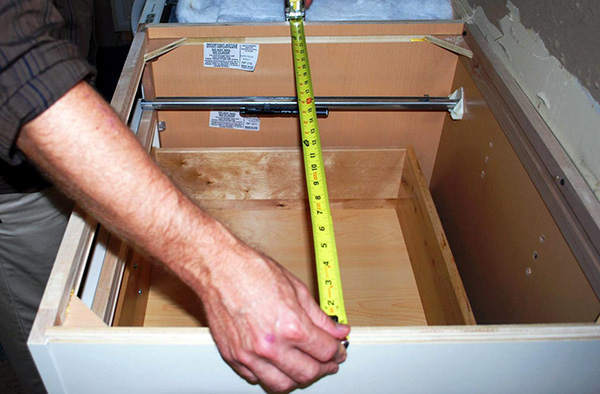 Accurate measurements result, making your countertop fit perfectly. You will see your kitchen in 3D. Once we measure; our special digital camera will photograph the granite slab and place it into operation monitor.The kitchen drawing is then over laid onto the slab picture creating perfect location of the seams (joints) and eliminating any possible defects in the stone by using laser projection. Once the layout is completed, our production manager will review and ensure it is complete. The customer can see the layout by e-mail or by visiting our showroom. 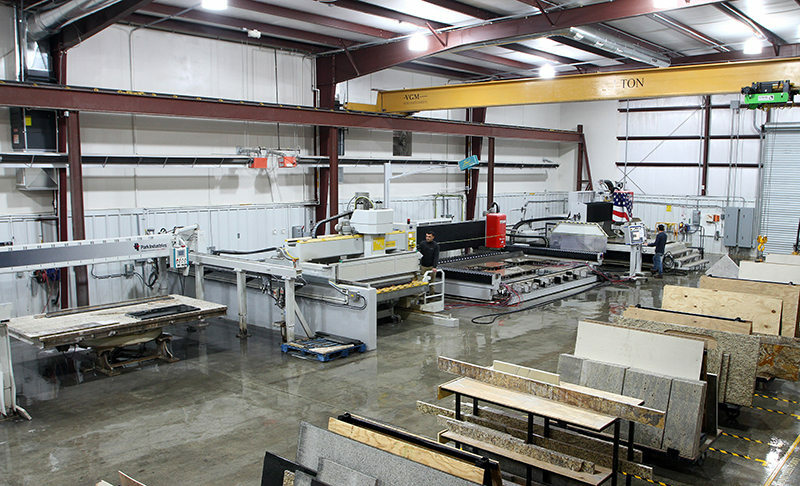 Precision High-speed CNC Saw/Water jet cuts 3 times faster than conventional bridge saws. Not only is it quick, but its incredibly accurate, turning raw material to living art. The cut pieces are forwarded to the CNC finishing router for edge profiling, polishcutout for undermount sink, cooktop, drill faucet and anchor holes. The course back side and the exposed under surface of the overhang area will be polished to ensure smoothness. CNC machine helps to provide our clients with a consistently high quality product. Everyday we use thousands of gallons of clean water to cut and polish the granite to ensure a dust free environment for our employees. Our unique water recycling system cleans our used water and produces an environmentally friendly residue in a dry mud that is used to fill landfills. 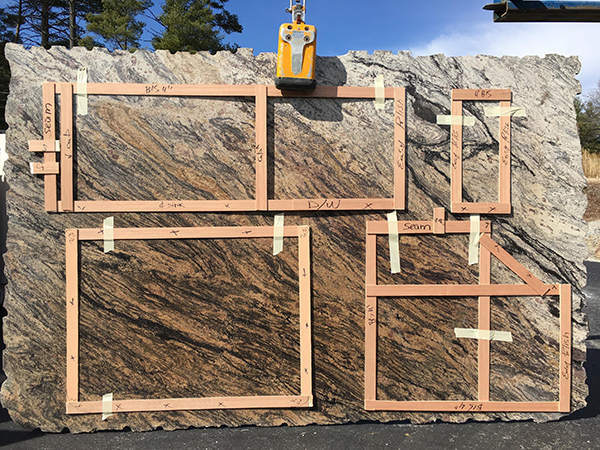 Most of the jobs will have a seam limitation of the granite slab size.One of the biggest concerns of home owners regarding granite countertop are seams. With our latest technology, the CNC machine uses a special tool to make the surface of the seam smooth. This reduces the gap to a minimum.Making seams practically invisible. To make the seam very tight, we use special suction cups which pulls two pieces together using akemi (resin) to fill the gap and hold them together. 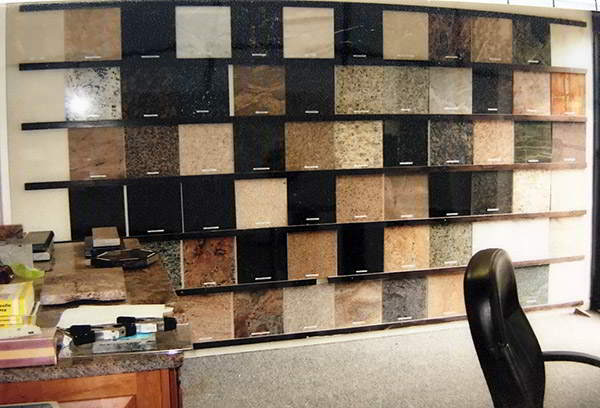 Most companies have limited selection of stone on hand. You can choose your material by going through the tile samples, however nothing will beat standing up close to the natural beauty, that may become part of your kitchen! The majority of fabricators use as a template; wooden strips, cardboard or do a hand sketch with a tape measure. This does not have the same accuracy as a digital template. 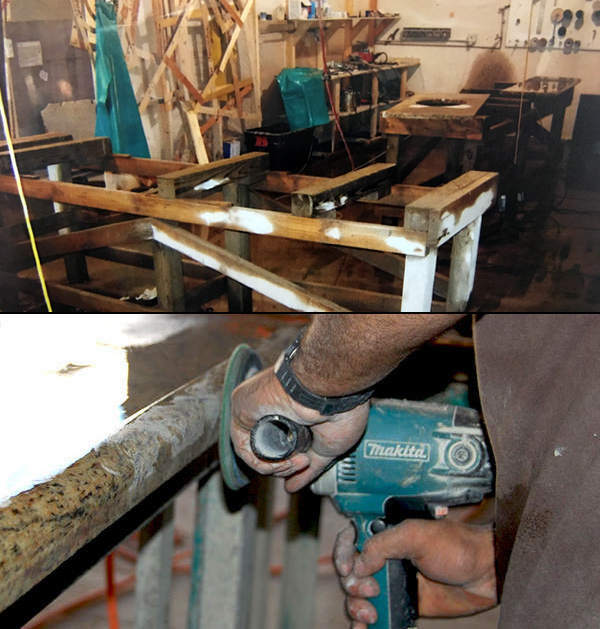 This procedure, used by many fabricators demands much more of the clients imagination. 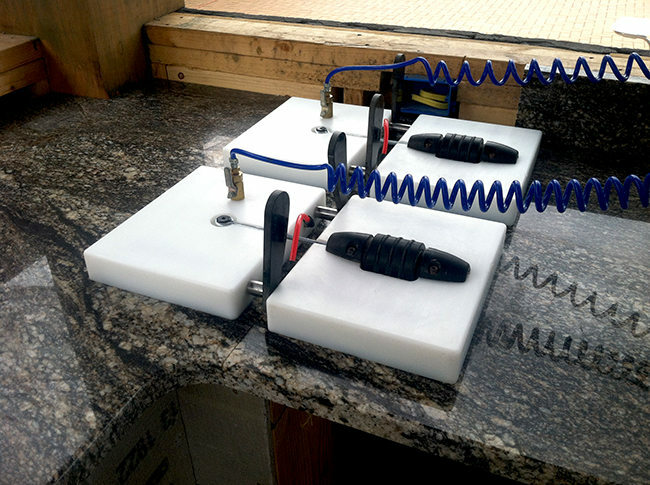 Most fabrication shops use a bridge saw to cut the granite. All polished edges are then done by hand. Frequently a simple straight edge will be seen as wavy and visible to the naked eye.